On our way back from southern Nevada, the Girl and I made a few stops to find a geocache or two. I also wanted to visit a few places on my way home. 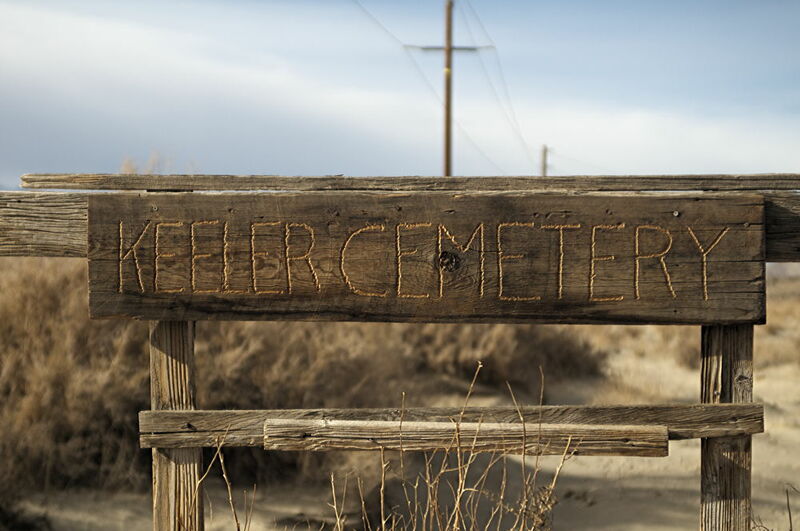 One of the geocaches is located near the almost-ghost-town Keeler, California. Keeler is in Owens Valley along what used to be the shore of Owens Lake. There was a time when this almost-ghost-town was a bustling place. That time is long gone, along with most of Owens Lake. The cemetery contains the remains of local residents, I presume. There isn’t much to indicate who is buried there and many of the grave sites are in poor repair. It’s a shame, but it was definitely worth the stop. I’m looking forward to returning to Owens Valley sometime. Perhaps a trip in the fall would be good. I could spend nearly a day at Manzanar, which is nearby. I could also enjoy exploring the history of Owens Valley, finding a few geocaches, and making a few images.